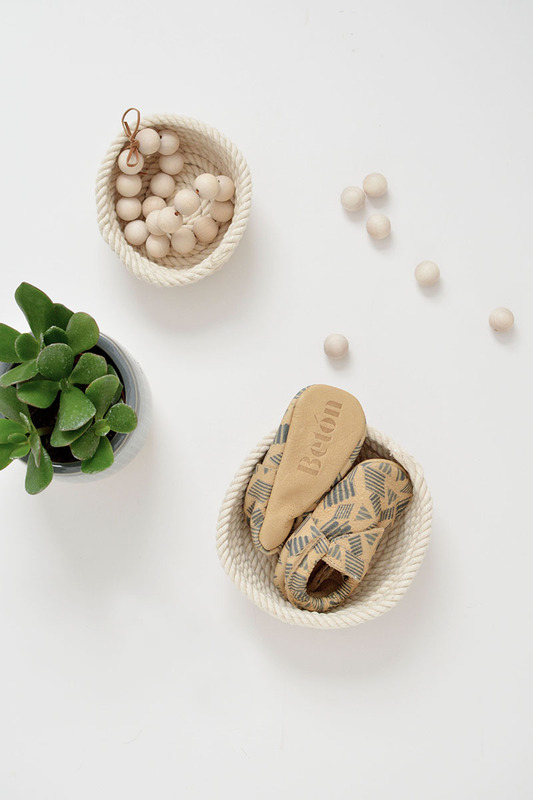 Most rope bowls are traditionally made using a sewing machine but I've teamed up with Gorilla to show you how to make your own no-sew rope bowl in a few simple steps! Step 1. 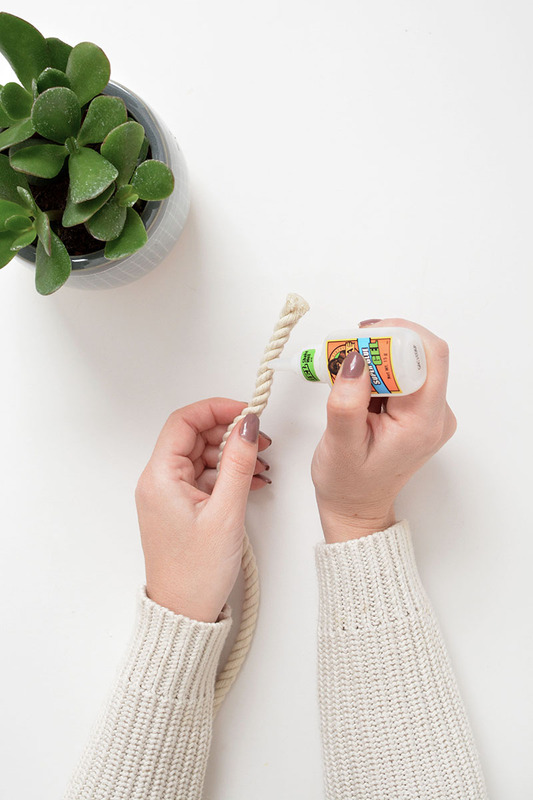 Shake the super glue gel well and apply a few drops of the glue to the ends to stop the rope from frying as you work. Step 3. Start to coil the rope into a tight spiral. Step 4. 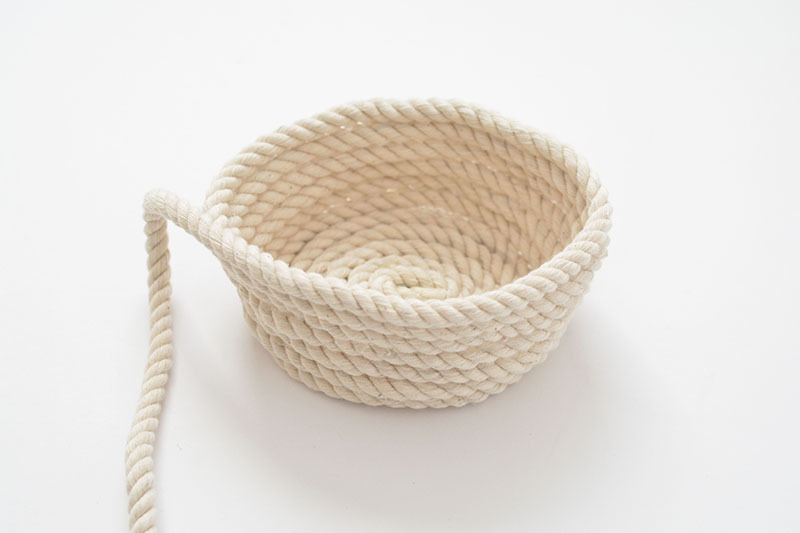 Keep gluing and coiling the rope until you create a flat rope circle the width you want your bowl to be. 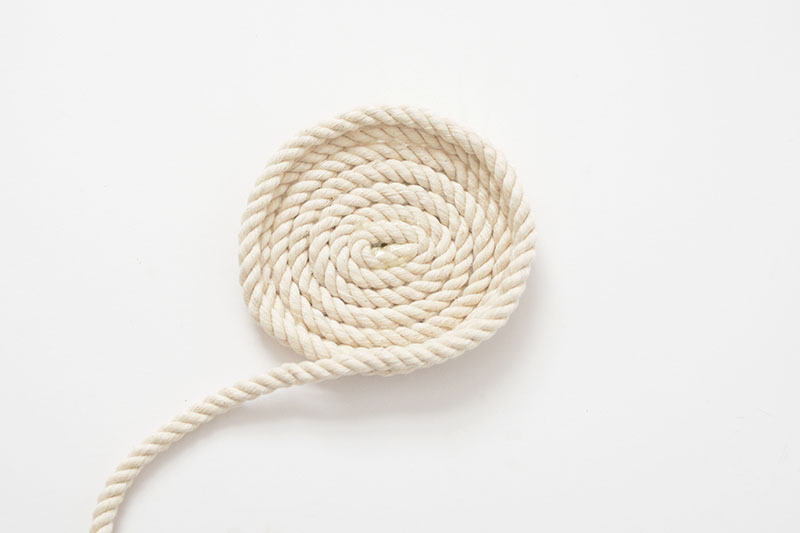 The glue bonds quickly (from just 10 seconds) so press the rope firmly into the glue as you work. 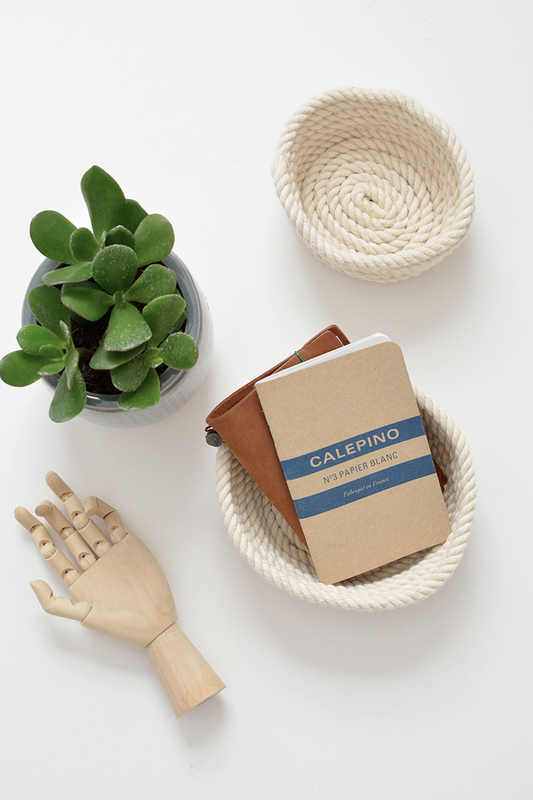 I found it easier to do this with the rope on a flat surface. Step 5. Once the base is finished you can start to build up the sides of the bowl. 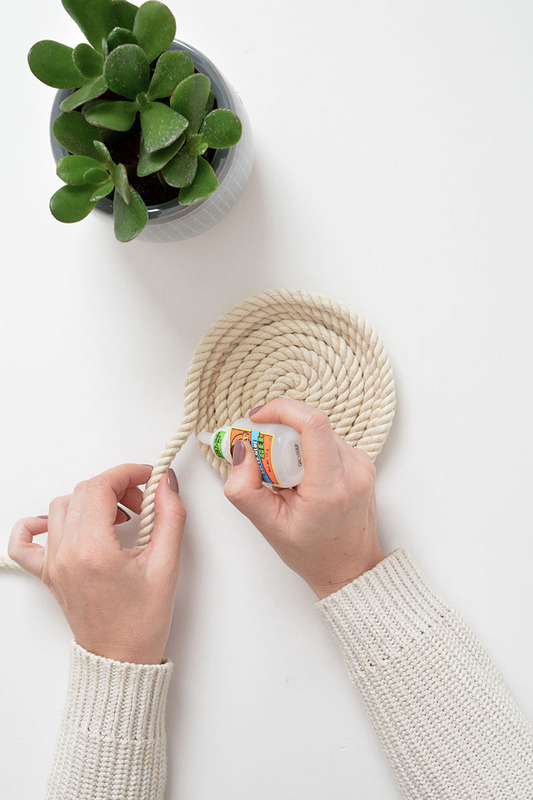 Take the rope and continue to apply lines of glue as you wrap the rope around. 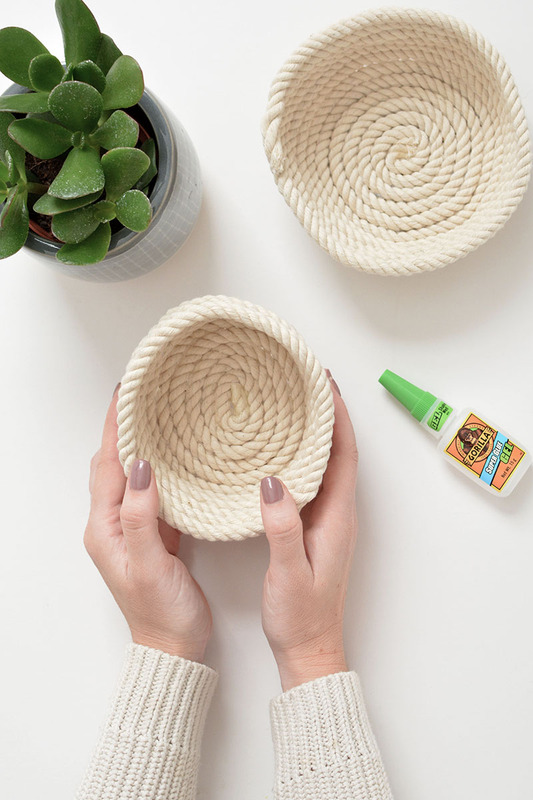 Go a little higher each time you work around the bowl. Step 6. Continue building up the sides until the bowl is deep enough. Step 7. 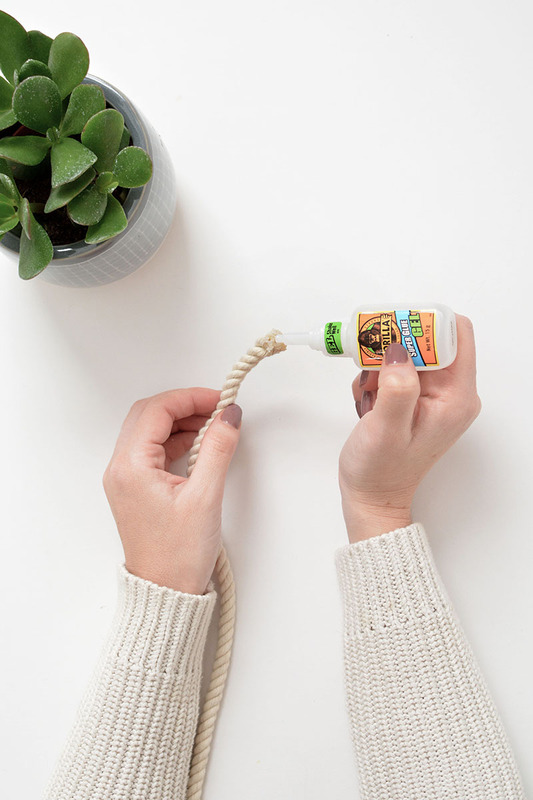 Trim the end of the rope with sharp scissors and apply super glue gel to stop the rope fraying. Step 8. 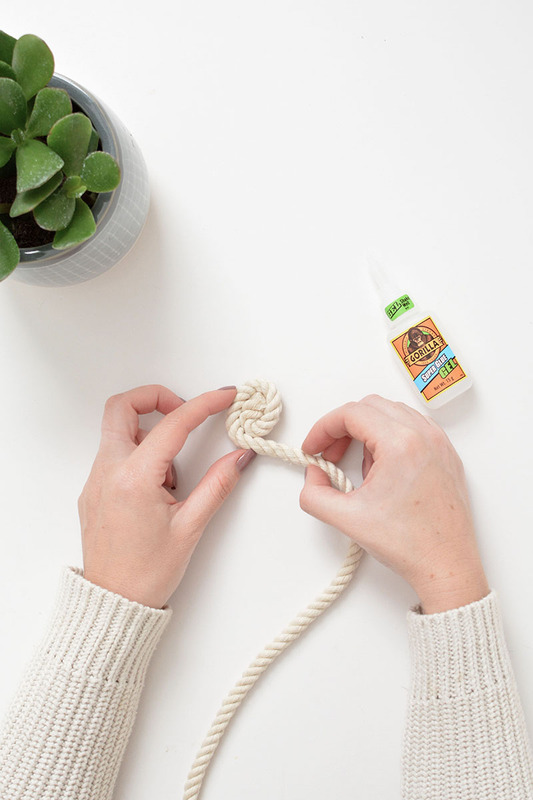 Run some glue along the final inch of rope and firmly press down to secure. 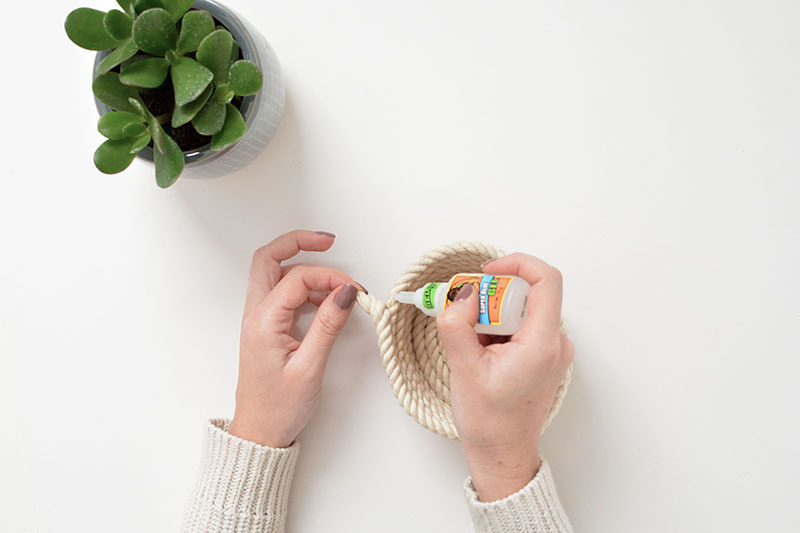 The glue dries so quickly you can use these babies right away! How simple is that? 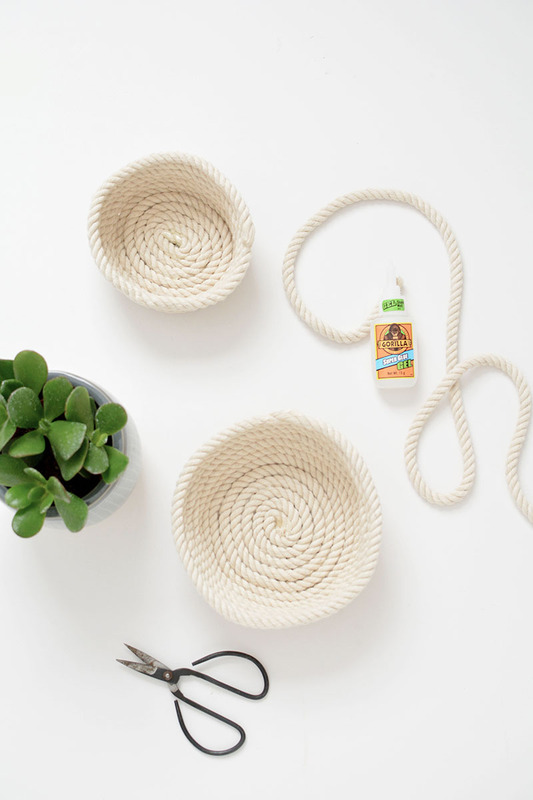 You can use different sizes of rope to create bigger and smaller bowls plus there are some other great rope DIY's from rugs to baskets and coasters all made using the same technique. 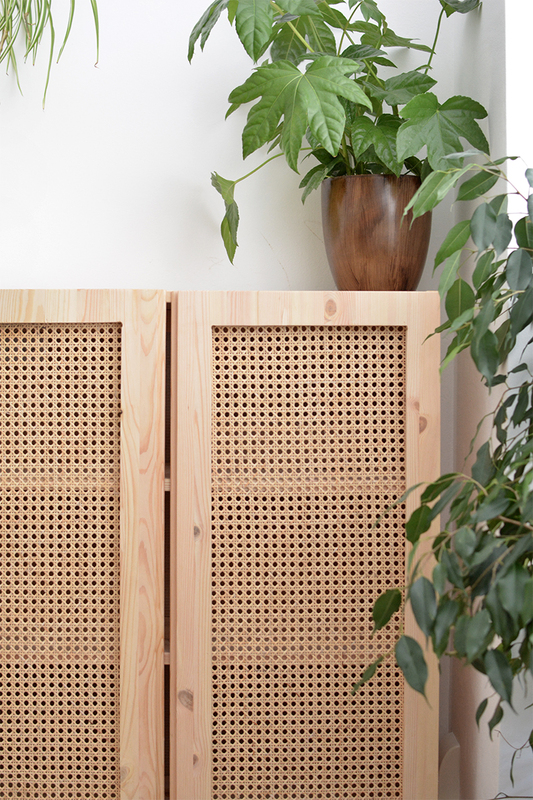 I hope you'll try this DIY too! 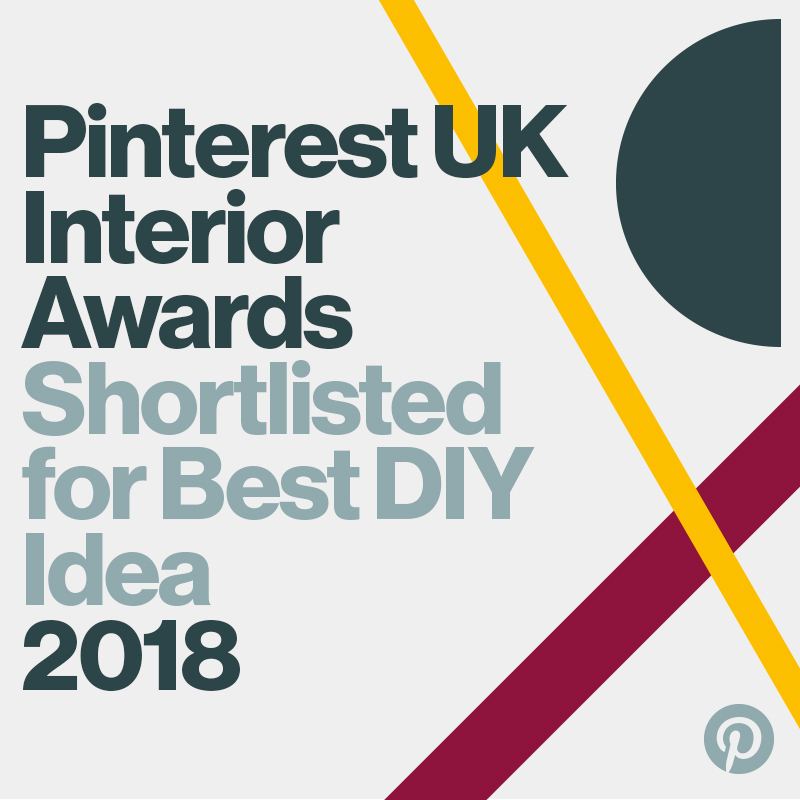 *Sponsored post with Gorilla, thank you for supporting the brands that help make these projects possible.